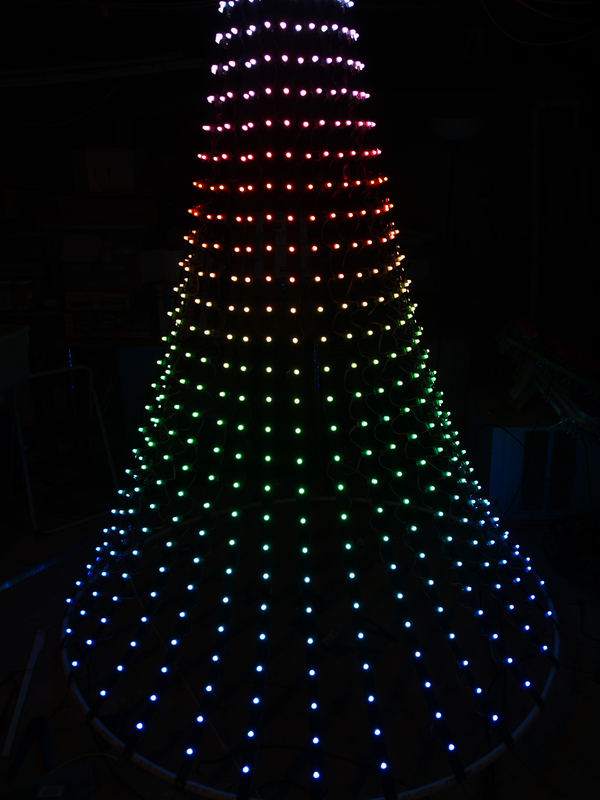 This year, I am working on an 8′ pixel tree. 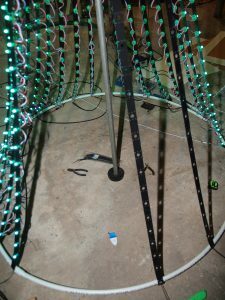 As it is in a relatively open space on the church property, I am opting to go for 225° or 20 strands on a 32 strand topper so it wraps a little around. This is mounted onto an 8′ pole I found in the church garage (I believe it is an old top rail for a fence). 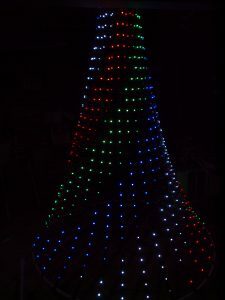 Each strand will have 30 pixels spaced at 3″, utilizing 600 total pixels for the tree. 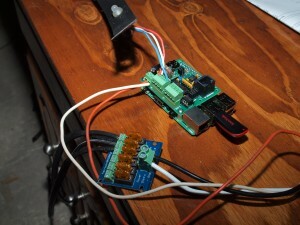 As it is on the opposite side of the church than my house, I will be using a Raspberry Pi with a Pixel Adapter. 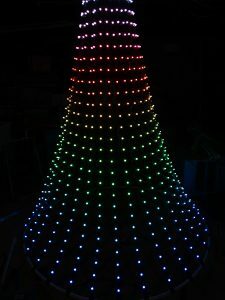 It is said that these can output up to 800 pixels per output, but I will be utilizing 300 for the tree on each output. As the Raspberry Pi 3 has built in wireless, I will also be using the DMX output on the Pixel Adapter to control the flood lights for the church. I will be injecting power every fourth string to a fused distribution board. 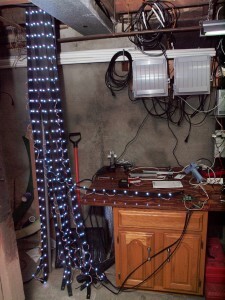 I am utilizing a 500watt outdoor power supply so I have little worry about using up too much. 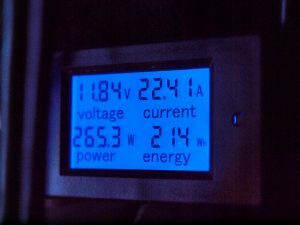 The measured draw at full white for 600 pixels is 265.3 watts or 22.41 amps. 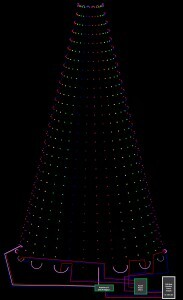 I have yet to figure out what I am doing for the star, but likely will be a pixel star out of coro.